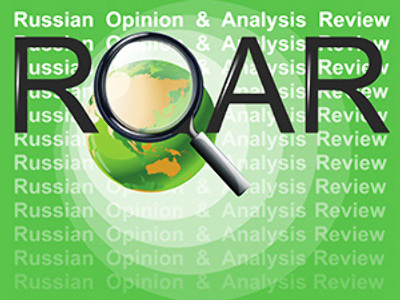 This Wednesday ROAR takes a look at new developments in Russia-EU relations; the media frenzy over the outbreak of swine flu; and the growing number of Strasbourg Court rulings against Russia. The results of the Tuesday meeting of the Russia EU Permanent Partnership Council in Luxembourg are reviewed by VREMYA NOVOSTEI newspaper. It points out the optimism that both sides have shown when describing prospects in negotiating several difficult issues in bilateral relations, like the new Partnership and Co-Operation Agreement or the EU’s Eastern Partnership programme. The old agreement expired in 2007, and the work on a new one was blocked first by Poland over a meat trade row and later by Lithuania over the disrupted supply of Russian oil. The latest event stalling the negotiations was the war in South Ossetia, where Moscow and Brussels disagreed on Russian involvement in response to the Georgian attack on its breakaway region. “The new document will be less concrete and more declarative, it will be an indicator of constructive relations between Moscow and Brussels,” Maksim Minaev, senior expert for Russian Centre for political environment, told the newspaper. Another positive signal is Moscow’s change of attitude towards the Eastern Partnership programme, an EU-sponsored integration plan for Eastern European countries, points out VEDOMOSTI newspaper. The programme includes Azerbaijan, Armenia, Belarus, Georgia, Moldova and Ukraine. Earlier Moscow voiced concerns over the project, since it can increase EU’s influence in the post-soviet space. In particular it believed Europe was using the programme and its associated benefits to put pressure on Minsk and prevent it from recognising Abkhazia and South Ossetia as independent states, something that Moscow is eager to hear. Speaking on the project on Tuesday, Lavrov said he was assured that “there are no intentions, that could be seen as directed against Russia” in Eastern Partnership. The change may be connected with proof provided by the EU, which convinced Moscow that there is no military component in the project, says the daily, citing a source in the Russian parliament. Regarding the swine flu pandemic, VEDOMOSTI publishes an editorial which presents a skeptical view of the media attention paid to the outbreak in Mexico and several other countries. Columnist Kirill Kharatyan compares statistics on the new epidemics: 2,000 infected out of 110 millions with 152 deaths, with the cholera epidemics in Zimbabwe: 16,000 infected out of 12 million population and 780 deaths. Meanwhile, facts are speaking against all the hysteria, the author believes. In the case of swine flu only 20 deaths are confirmed to be related to the virus. The virus is not confirmed to be transmitted through food. There are efficient drugs against the flu and a vaccine is just about to be developed. Back in 1988 an outbreak of swine flu was reported in the US State of Wisconsin, Kharatyan tells the paper. Several dozen people fell ill, and research showed the strain could transmit between people, just like the one in progress today, but there was no international frenzy compared to what we see now. The article ends with an example of common sense wisdom: wash your hands and don’t go to work when you’re ill.
NOVIE IZVESTIA takes a look at the difference in attitude in Baltic countries toward two construction projects involving works on the seabed of the Baltic Sea. Recently, the prime ministers of Lithuania, Latvia and Estonia signed an agreement on a Swedlink power line, a 700 million euro worth cable, which will link Lithuania with Sweden. The project is to end the dependence of the EU Baltic members on the supply of electricity from Russia. The newspaper points out that unlike the Nord Stream gas pipeline, the transbaltic cable project didn’t stir any environmental concerns. In case of the pipeline, which is to deliver Russian hydrocarbons directly to Germany bypassing all transit countries, potential environmental damage is one of the major stumbling blocks. Another controversial point is that there is no agreement on how the two projects would interact in terms of technical and legal implications. The pipeline and the power cable will cross each other somewhere on the seabed, and so far there is no plan on how to do it. The same newspaper reports on the increasing numbers of lawsuits against Russia considered by the European Court on Human Rights in Strasbourg. The article mentions several examples of the ECHC rulings on cases involving Russian citizens, where record sums of compensation were awarded to the plaintiffs. The violations included police brutality, mistreatment of conscript soldiers by their superiors, unlawful restrictions of freedom of speech, and others. 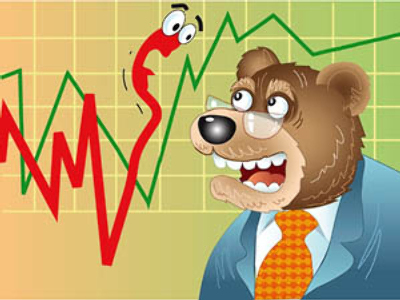 The shear number of lawsuits is also increasing, mirroring a similar trend in Russian courts. However, Russians often prefer ruling by the Strasbourg court, because it tends to award bigger compensations for similar violations. The difference with the sums ruled on by Russian courts may be bigger by almost 30 times, writes Novie Izvestia. One peculiar feature related to the ECHC rulings is that while Russia’s Finance Ministry pays the compensations as ordered, it rarely seeks to credit the damages to the public servants who were the cause of the lawsuit in the first place. The officials may be fired, but their pockets are safe. In the end it is taxpayer’s money which is used to pay for the crimes, the newspaper complains. According to analysts, the ministry is either reluctant to do extra work and seek refinancing of the compensations or lacks a signal from the government to prosecute officials. The bureaucrats are “simply covering up their comrades”, according to Pavel Krasheninnikov, head of State Duma committee on civil, criminal, arbitrage and procedural law. At the moment tens of thousands of Russian citizens are seeking justice in Strasbourg, and the number is growing fast.